Forward thinking technology means that the Roho Single Valve Low Profile Pressure Relief Cushion offers exceptional protection and recovery from ischemic ulcers. Just 6cm deep this pressure relief cushion manages to enhance comfort, reduce friction and decrease tissue deformation, while Dry Floatation technology redistributes pressure evenly across the cushion. 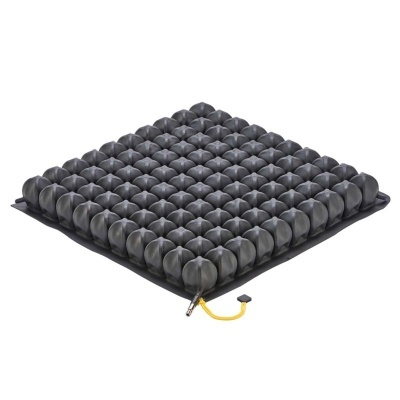 Using special interconnected air cells that provide low deformation and counter-pressure, the Low Profile Cushion gives ulcers the space and time to recover. 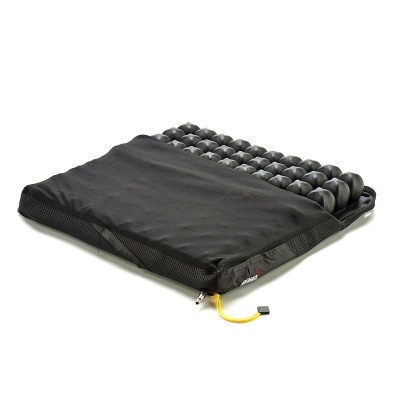 Widely used in the NHS and care industries, this forward thinking relief cushion has an excellent reputation for high quality pressure relief. 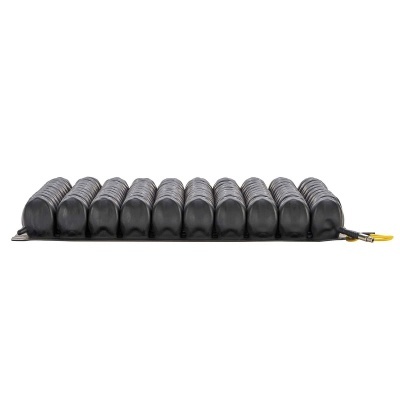 What makes the Low Profile Cushion so highly regarded is that it uses Dry Floatation technology to provide exceptional pressure relief that is evenly distributed across the cushion. Roho discovered that the perfect envelopment depth is 7.5cm, which when combined with the effect of flotation in water creates exceptional pressure relief. This was called Dry Floatation technology, and it led to the creation of pressure relief cushions that lower irritation, prevent friction and provide low surface tension that decreases tissue deformation. Using interconnected air cells that support the user in the air, the pressure is evenly distributed which offers enhanced blood flow across the entire cushion. The Low Profile Pressure relief is suitable for high risk pressure patients, including those with stage 1, 2 or 3 ulcers. Provided the wound is monitored by a caregiver, practitioner or health worker, it is possible that a Roho cushion using Dry Floatation technology can give the ulcer the space to heal. The Roho Single Valve Low Profile Pressure Relief Cushion is available in 20 different sizes. It is measured across the width of the cushion and then the depth of the cushion and is 6cm thick. Simply select the size that matches your seat. Please note that the measurements below are of the maximum dimensions of the cushion at the base of the cushion.